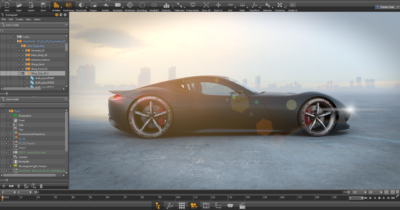 With recent Autodesk VRED update (version 2019.1), enterprise VR visual performance and realism moves into the fast lane. 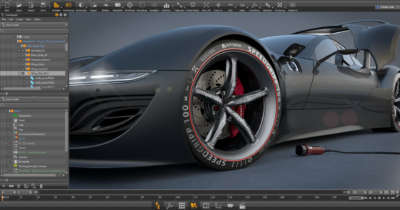 The world’s most high-performance cars are designed, visualized and manufactured with Autodesk software. Now, the road to virtual reality (VR) becomes a superhighway through a collaboration with VRgineers, a VR engineering company and the Autodesk VRED team. Automotive designers and decision makers are now able to create high precision visualization and realism with the fully integrated VRgineers headsets in VRED software. 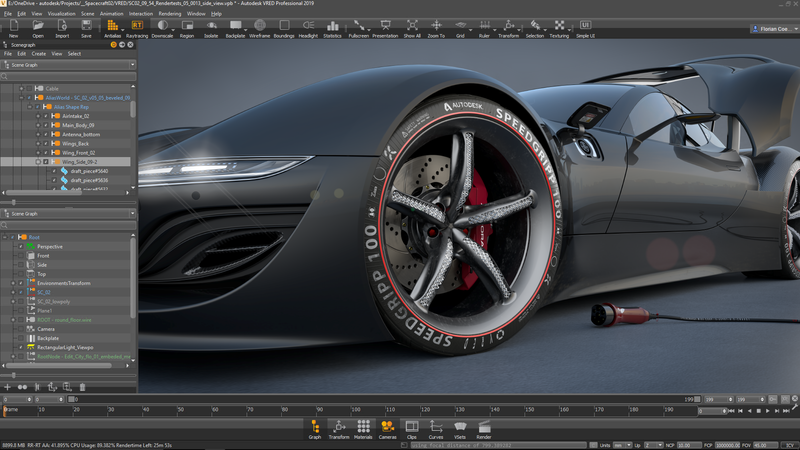 “Automotive designers rely on VRED to deliver superior visuals in creating and presenting product renderings, design reviews, and virtual prototypes. Enjoying this full visual quality in VR with commercial head-mounted-displays hasn’t really been possible until now. With the latest VRED edition, we’ve added native support for VRgineers VRHero and the new XTAL headsets. Our users are now able to view their work in VR with true-to-life visual quality. That’s a real game-changer for high-end VR visualization,” says Pascal Seifert, technical product manager, Autodesk VRED. 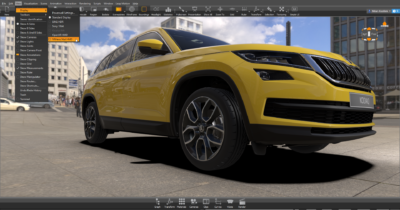 “By combining VRED applications with our VR enterprise-grade headsets, we are providing a powerful tool for changing the way automotive engineers and design professionals work to envision, develop and present with visualization software. 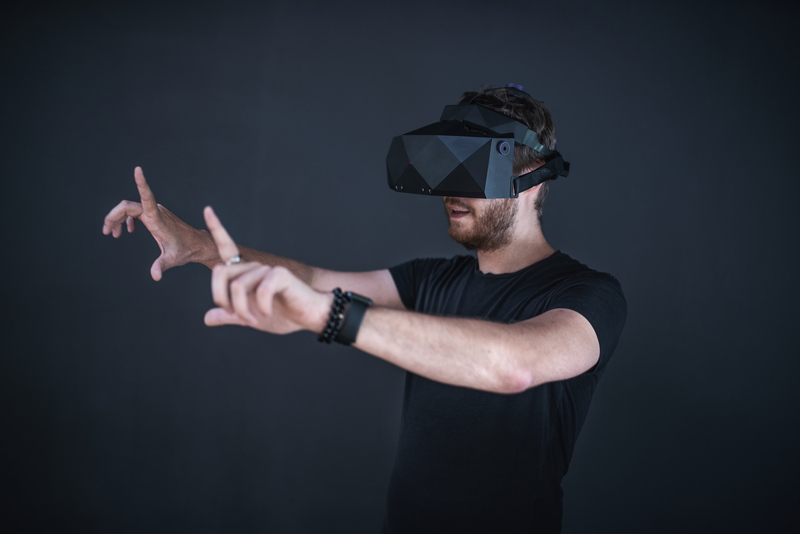 Together with VRED, our enterprise headsets provide the most realistic user experience, never before achieved in VR,” says Marek Polcak, CEO, and co-founder of VRgineers. “Autodesk clients choosing to create with a headset can now see a perfect, undistorted image in the best possible visual quality with precise dimensions and true-to-life spatial experience, which is fluent and comfortable,” continues Polcak. VRgineers unlocks the highest level of visual performance and realism in VR for professional designers with its smart headsets, incorporating high-resolution, crystal-clear VR imaging with several unique features. 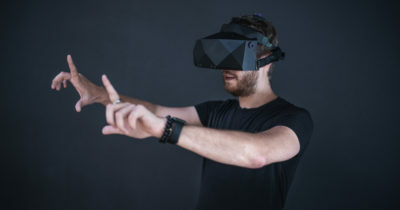 The newly introduced VRgineers XTAL headset comes with AutoEye, which automatically aligns lens positions with the user’s eyes to make sure image quality is always optimal; embedded new generation Leap Motion hand-tracking sensor to naturally interact with a scene, and voice-activated commands to open endless possibilities never before experienced in enterprise VR. XTAL also provides double Quad HD OLED displays, each with resolution and pixel density greater than the new iPhone X Super Retina display. The crystal-clear 5K resolution and full 24bit RGB colors, together with the unique custom-built optics and 170º FOV, provide, according to analysts, the most true-to-life image in VR to date. You can find full VRgineers XTAL specifications here. The integration of VRgineers enterprise headsets in VRED provides clients with unsurpassed visual fidelity in real-time rendering. It allows those designing, prototyping, rendering, reviewing, training and presenting to do so with limitless possibilities in the best possible virtual quality and at affordable costs. In addition to VRED, VRgineers’ focus provides a full hardware-software stack for professional VR users and industrial use cases and has further expanded VR capabilities through its integrations with other specialized software and hardware companies. Similarly, to make sure VR experience is perfect even in complex VR projects, VRgineers headsets are fully optimized for NVIDIA Quadro professional GPUs. VRgineers headsets are currently used by automotive designers in companies such as BMW, Audi, ŠKODA AUTO and Volkswagen, for design validation and evaluation, reducing the cost and time needed to develop new car models.